Are you a computer repair shop, retailer, office or manufacturer with out-of-service electronic devices? Our drivers will safely remove them and provide quick payment. We can provide you with a certificate of destruction for sensitive materials like computer hard drives and other data storage devices. We won’t re-use or re-sell your discarded electronics. 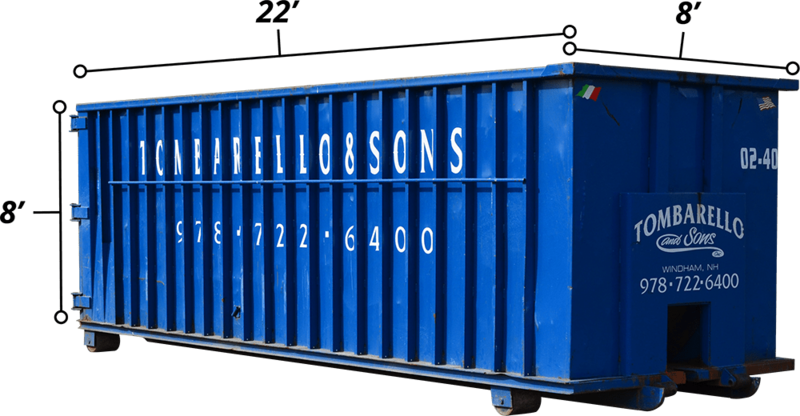 We are a full-service scrap metal recycler, proudly providing shops, retailers and manufacturers all over New England with roll-off container rentals. We rent 15 yard, 20 yard, 30 yard, and 40 yard roll off dumpsters for scrap metal recycling. We pay competitive scrap metal prices for all electronic devices. When you have to dispose of large amounts of metal, choose us. Tombarello and Sons Inc. provides scrap-generating businesses like yours a cost-effective way to market recyclable resources. We will help you optimize your material preparation, maximize container placement and coordinate pick-up schedules at your location. Let your scrap metal go to work for you. Tombarello and Sons Inc. has the perfect size and ideal container for the job. Call Tombarello and Sons Inc. at 978-722-6400 to recycle your electronics today, including full service roll off dumpster rental, delivery and pick up service.